Until I became the author of a book myself, I hadn’t realised how important reviews are to writers. Without a good number of reviews and ratings, their books disappear into the ocean of titles on Amazon and other sites, never to be seen again. So now I try to review as many of the books I read as I can, especially those by less well known authors. In an age of satellite communications, GPS, drones and hi-tech camping gear, it’s hard to imagine what it must have been like to set off across unmapped Australia with none of those aids. Not that Burke and Wills and the dozens of people who originally made up their expedition team set off with nothing. Far from it – they were equipped by a committee, and had literally tons of equipment. Tragically, what Robert O’Hara Burke lacked was the leadership skills and bushman’s knowledge required to get him and his party safely from Melbourne to the Gulf of Carpentaria and back. 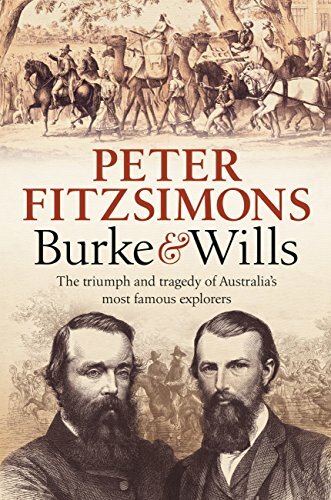 Peter FitzSimons’ book does a great job of showing that it wasn’t just bad luck that left Burke and Wills stranded and starving to death at Coopers Creek. 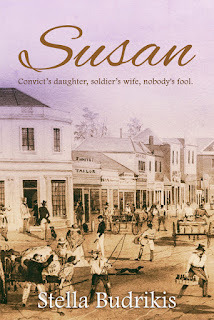 He follows the whole sorry process, from the first suggestion of an expedition to the final fabulous funeral held in Melbourne to honour Burke and Wills. He spares no-one, and omits no-one. The Indian and Afghan sepoys brought in to look after the camels, and the Aboriginal residents of the land Burke’s party were crossing, are included as real and influential characters, not just adjuncts to the European explorers. Fitzsimons writes in a chatty, rather irreverent style, and all in the present tense, which adds to the drama. The book, despite it’s tragic subject, is entertaining as well as informative. I thoroughly enjoyed it.